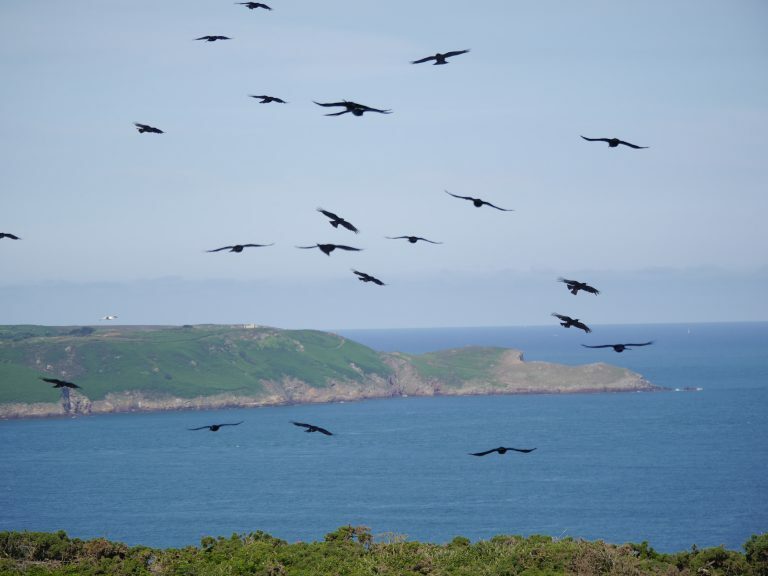 We (Ali and myself, plus sister Elaine), were a bit late with our Jersey migration this year – but have just returned from a splendid few days catching up with the choughs, sheep, and release team on the island. The six birds sent from Paradise Park had just completed their quarantine, and were eager to get out on the cliffs with the rest of the flock. They were released on Monday 3rd October – we got there on the evening of the 4th. We were very lucky with the weather, and although we stayed dry, the wind was showing signs of impending winter. 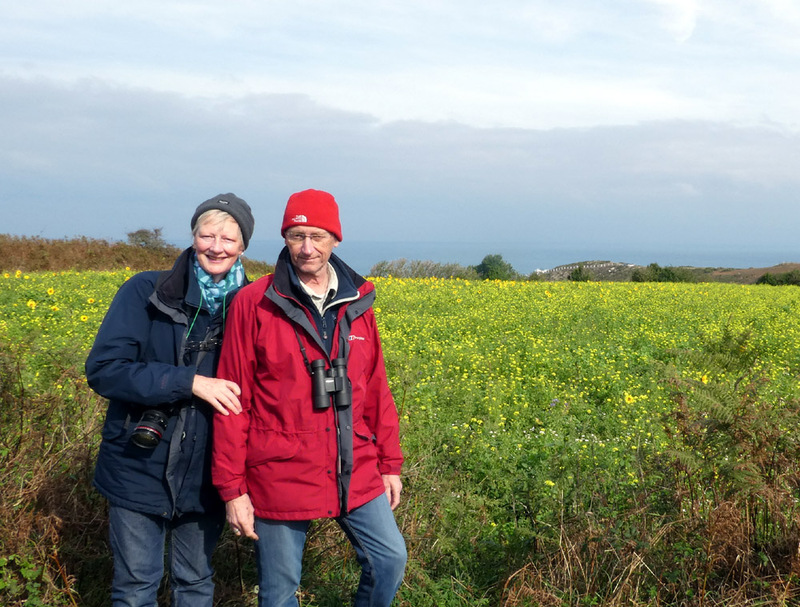 We soon got to the cliffs and met up with Liz Corry and team – and, of course, the choughs. 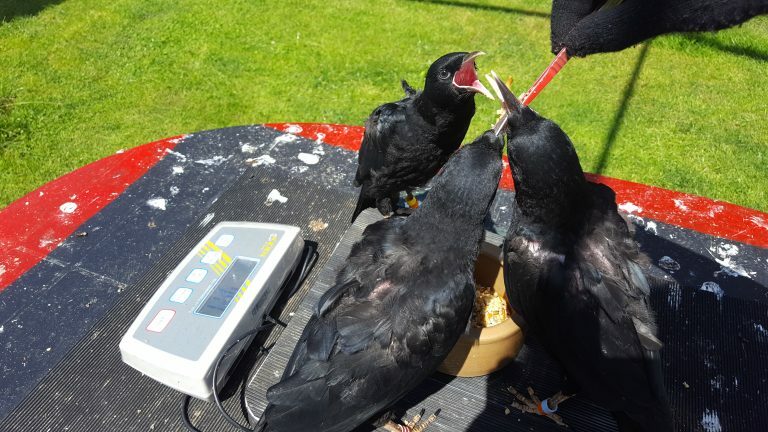 The birds are being closely monitored, and all the newly released ones have been fitted with radio transmitters. The aerials could be seen through binoculars and it was clear that all the birds were mixing together well. The chough is renowned for its incredible flying ability, and the Jersey flock is no exception. 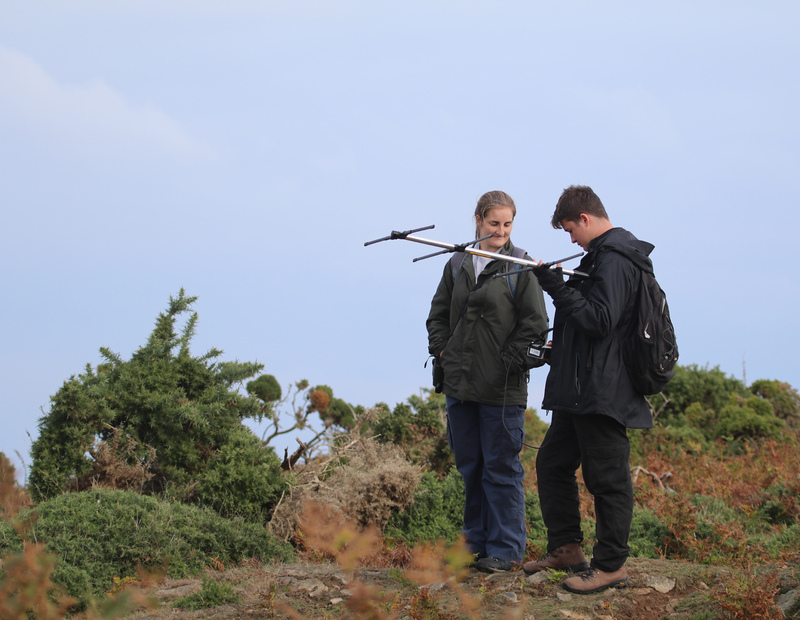 The older birds have truly mastered their environment, and the youngsters are picking up the same skills at a phenomenal rate – in fact the new and established birds could only be told apart by their transmitters (or lack of). 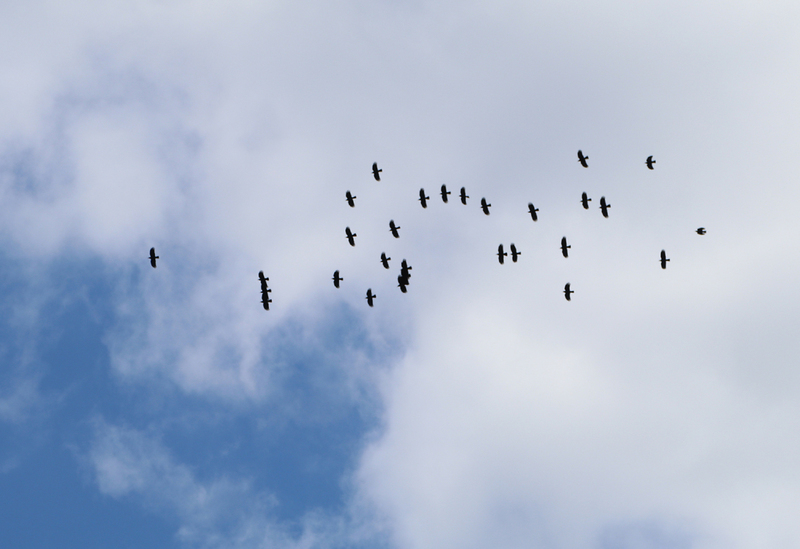 The birds like nothing more than to dance on the updrafts, and ride the thermals. “Like black handkerchiefs blown by the wind” as Elaine said. …and if you have a telephoto lens, they look like this. We didn’t actually get to see all thirty-five choughs at the same time, although we are sure we encountered them all during our stay. We found out that the “teenagers” (as Liz calls the year-old birds) have decided to go exploring – much the same as last year. 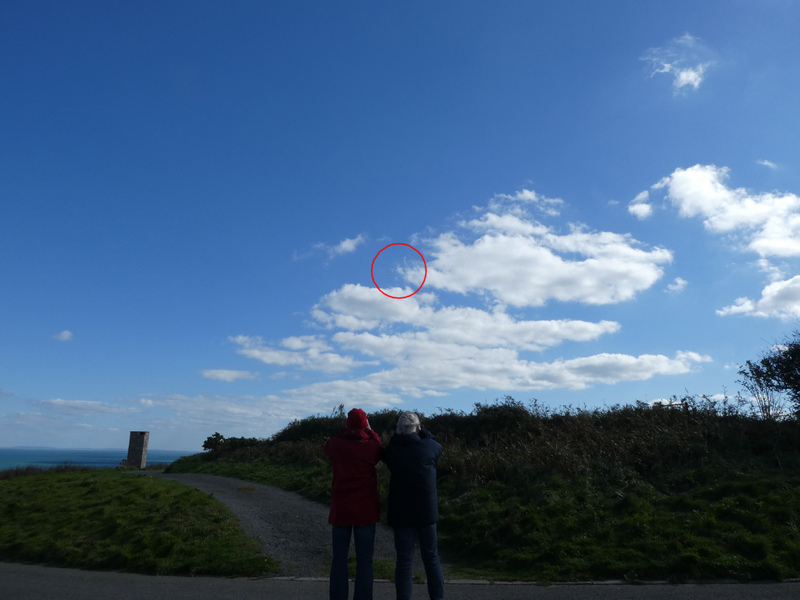 They have been seen several kilometres away on Jersey’s racecourse on the north-west tip of the island. They may be scouting for possible nest sites, or they may have found a new food supply. (There is a small herd of cows in a field in the centre of the course – ideal for trampled grass and cow-pats). 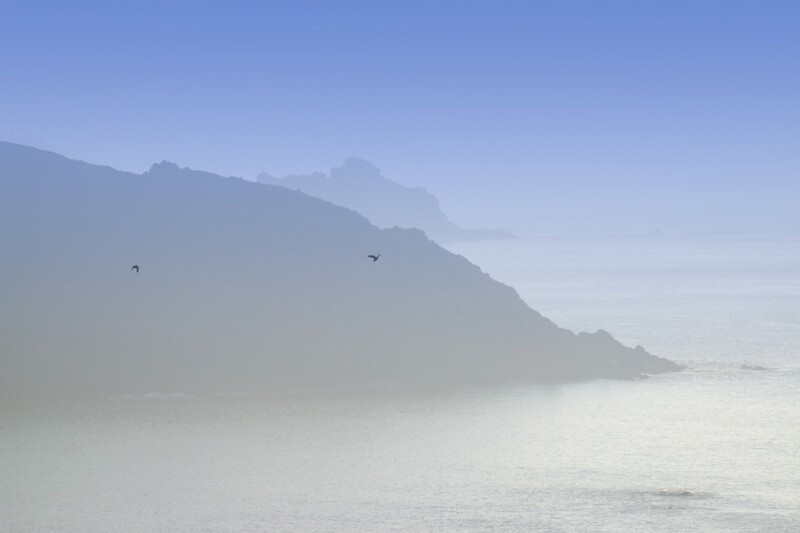 One of the aims of the Birds on the Edge project is to restore the coastal habitat around the island of Jersey, and as such they use a variety of methods. 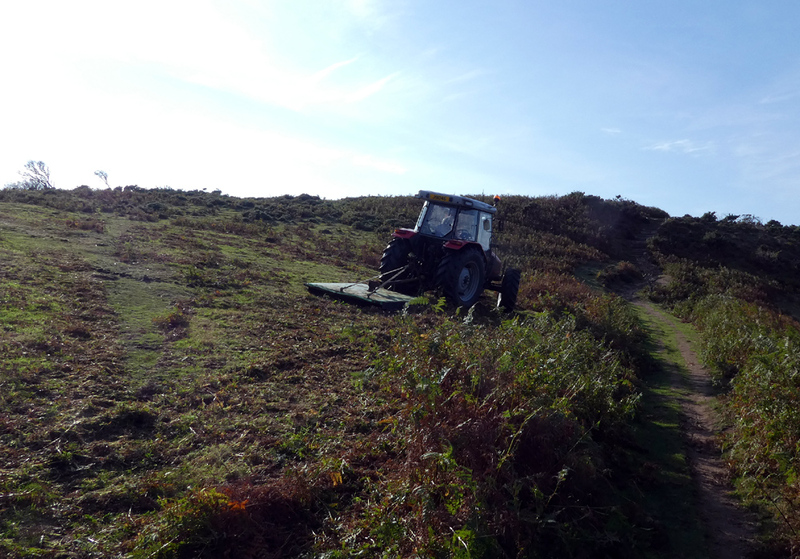 These include volunteer teams cutting gorse down, and bashing down encroaching bracken with tractors. There is another dedicated team who are out in all weathers doing their bit for conservation. These are the Manx Loaghtan sheep (Manx Longhorns), and they are doing an impressive job. They have increased their flock even quicker than the choughs, there are now in the region of 200 sheep. I was lucky enough to have a close encounter with one of the ladies on the cliffs while chough watching – it’s almost like she’s guarding them. Keep up the good work Sharon – and everyone else! 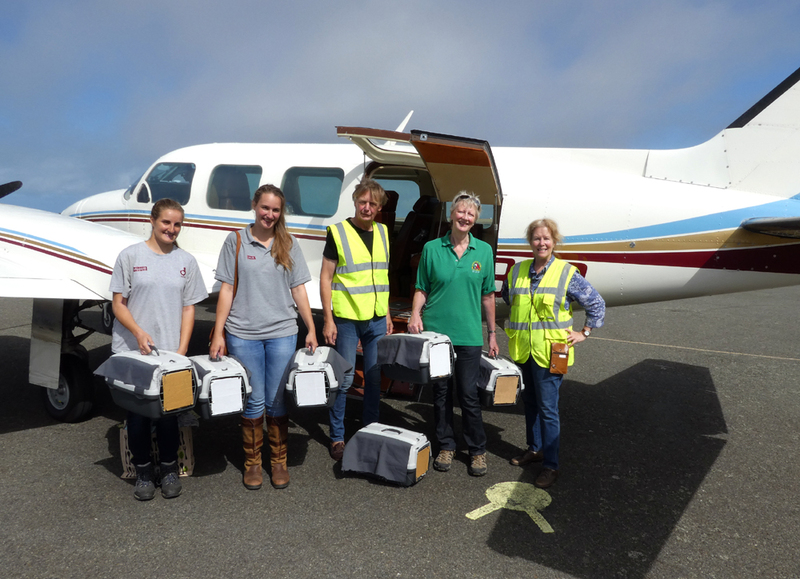 The usual thorough monthly report from the Birds on the Edge team for September is here. This entry was posted in Jersey, News, Ray's Ramblings on 11th October 2016 by RayHales. 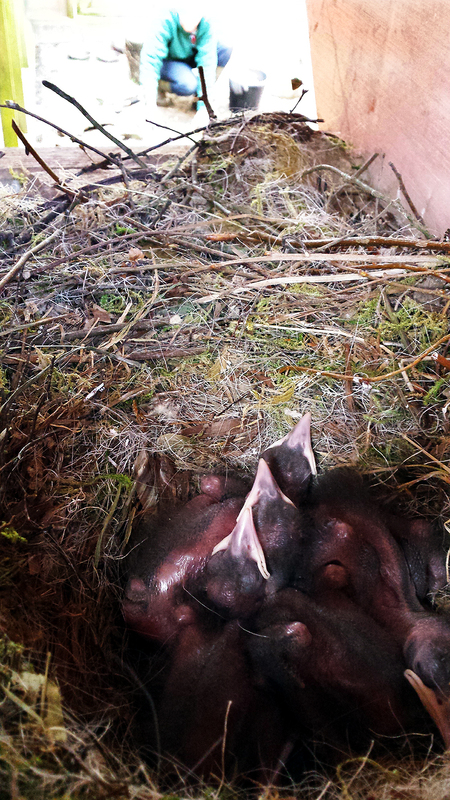 Six young choughs bred at Paradise Park this year have gone to Jersey to be released. Lee Durrell and Colin Stevenson collected them by plane on August 31st, arriving at Perranporth airfield, near Truro, as they have done in previous years. Lee and Colin were accompanied by Durrell staff Bea Detnon and Jessica Maxwell. Going by plane saves many hours travelling by ferry, and we are very grateful for Lee and Colin’s help with this. The flight takes just over an hour and means the young choughs will be in the release aviary by the afternoon, after veterinary checks. Chough Re-introduction Field Manager at the Durrell Wildlife Conservation Trust, Liz Corry, was waiting for the birds to arrive. She has planned for the arrival in advance. 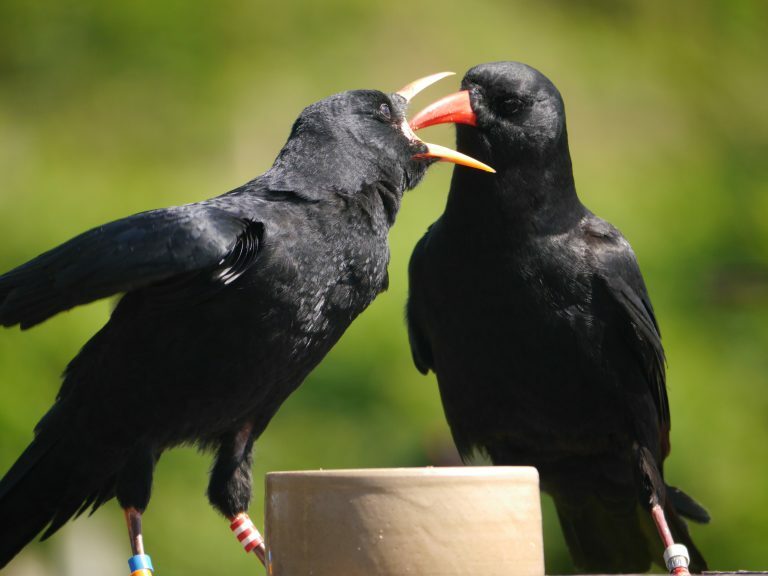 The six choughs bred at Durrell Wildlife Park were released a few weeks ago. These birds are to be mentors for the new arrivals. They have been lured back into the release aviary and the Paradise Park birds will join them. After a short period of quarantine, the whole group of twelve will be let out together to mix with the larger flock. The six local birds will share invaluable knowledge with the new birds, improving their chances of survival. This entry was posted in Cornwall, Jersey, News, Ray's Ramblings on 5th September 2016 by RayHales. Today is Operation Chough’s Birthday! 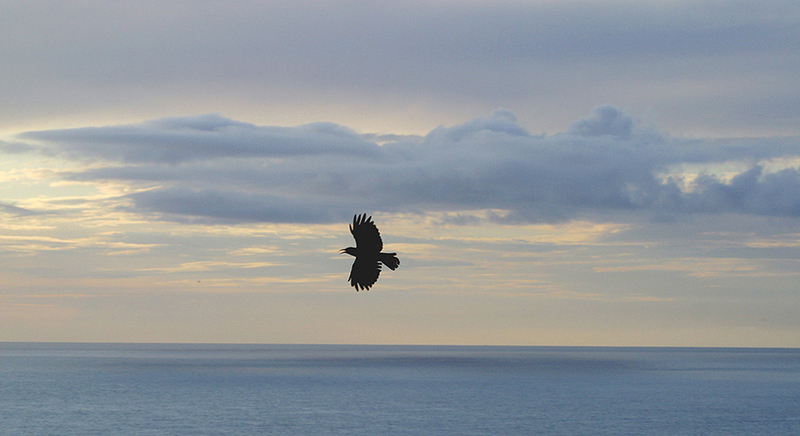 Chough flying at sunset. The Lizard 2002. Pic Ray Hales. We have long admired the Red-billed Chough’s intelligence and beauty – how could we not be inspired to help this magnificent bird and see it flying again over coastlines where it had disappeared? The natural recolonisation by three birds in 2001 gave us great opportunities to observe the behaviour of wild birds right on our doorstep. 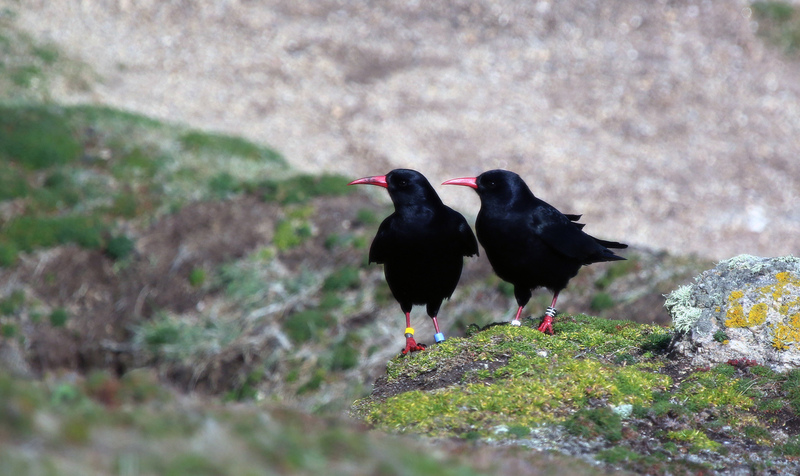 A breeding pair of wild Choughs on the Cornish coast 2016. Pic Ray Hales. 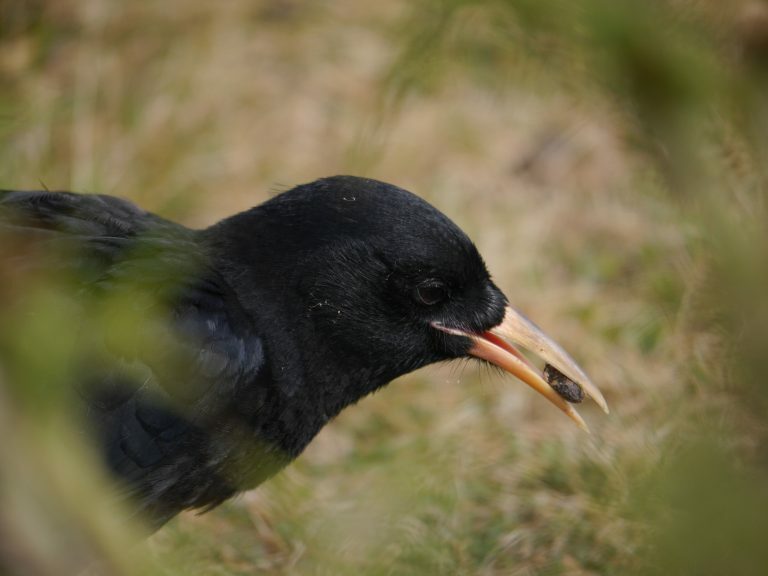 In the 1980s we had had some success in breeding choughs here at Paradise Park, but it was just one or two chicks a year, as we learned what they needed. 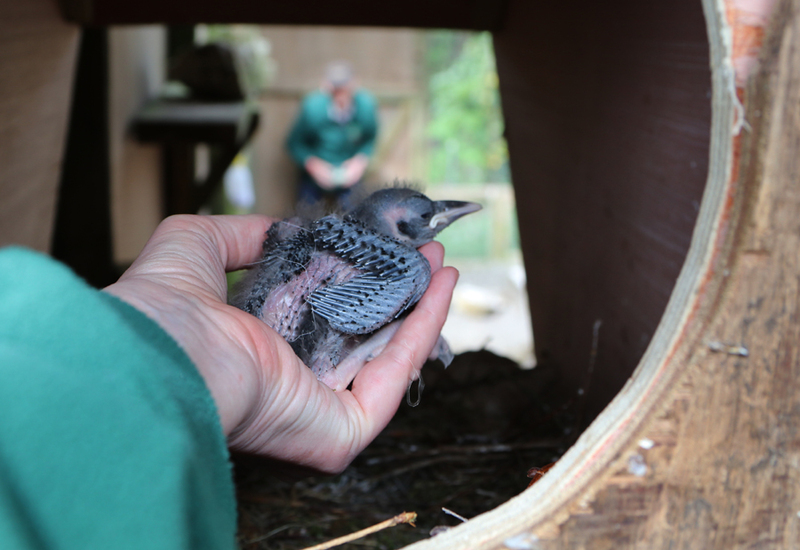 Now we have become somewhat expert and our captive pairs produce around ten chicks each year. 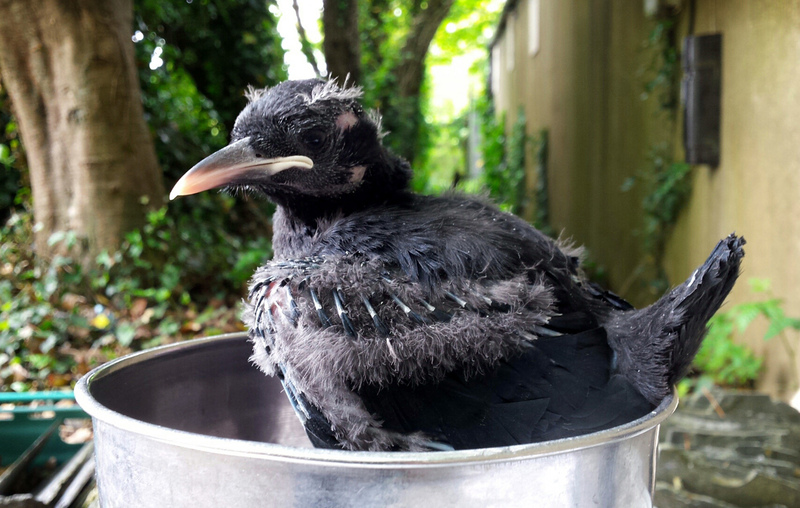 Chough chick aged 24 days being weighed. 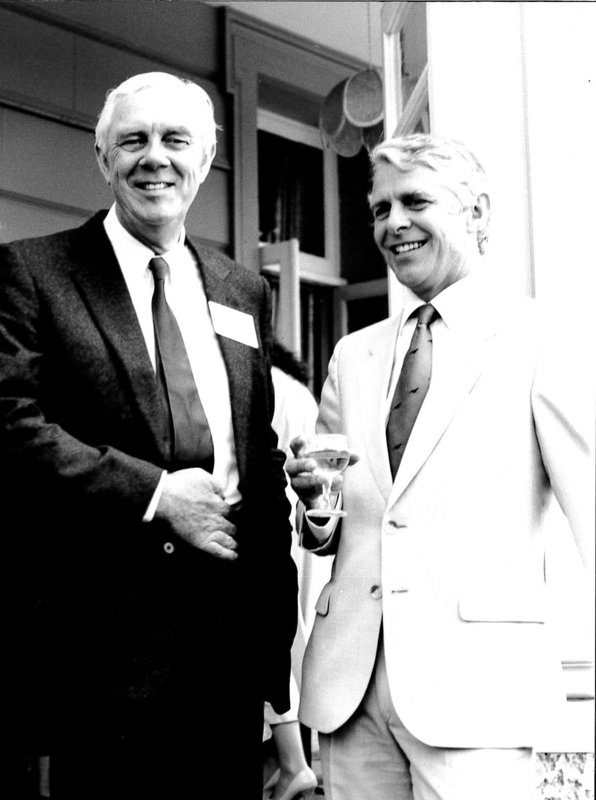 Ray Hales 2014. 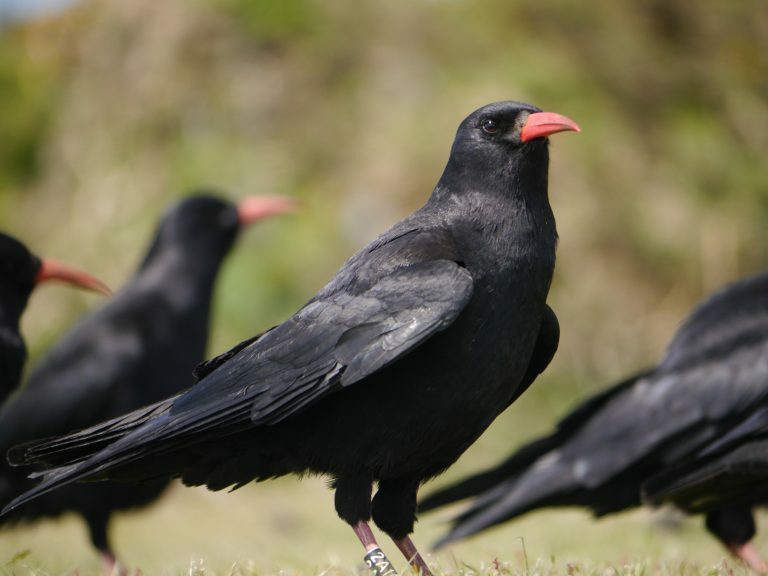 This has enabled us to fulfil our objective on Jersey and with the help of our hard-working partners at the Durrell Wildlife Conservation Trust, thirty – yes THIRTY – choughs are now living free on the island after an absence of 100 years. The method used for the Jersey release is a template for further re-establishment to help join up the scattered populations and spread genetic diversity. 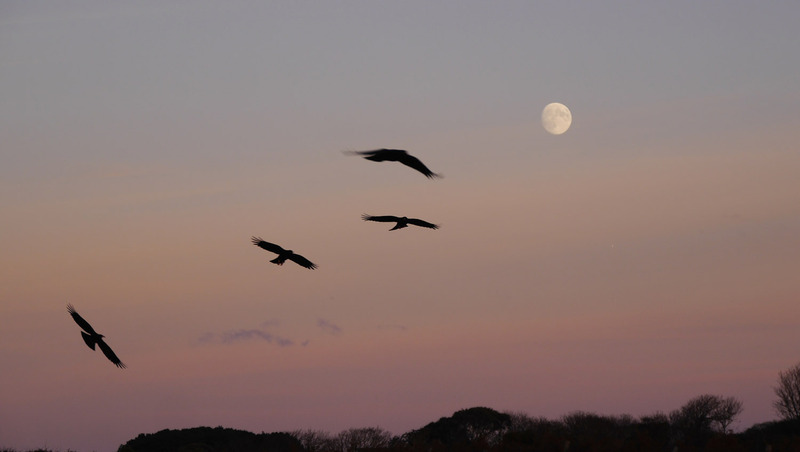 Choughs on Jersey going to Roost. Pic Liz Corry. This entry was posted in Cornwall, Jersey, News, Paradise Park, Ray's Ramblings on 4th August 2016 by RayHales. This is a very hasty post. No spoilers, but the news is very, very good! This entry was posted in Jersey, News on 29th June 2016 by RayHales.